Hi, guys! A year ago I run http://gamestaplay.com it's like a social network for gamers and games catalogue. There I publish free to play HTML5 / Flash games. Also game reviews for XBOX / PS games. Now I continuously looking for game developers who want to publish their games. You can create an account and submit your game for free. For now you can upload only SWF, if you have HTML5 game to publish you can send it via email gamestaplay.com@gmail.com . I plan to made nice statistics to track players activity and in future, you can earn money from ads (if you want). Even you're not a game developer I'm open to any kind of partnership. 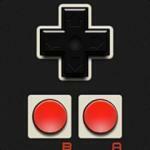 looking for cool HTML5 games to be published the games market. 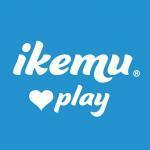 Hey Guys, iKEMU is a new games publishing company that operates currently in Japan and will be expanding to the US this year. We have created a new model of payment that rewards good games. If you have cool HTML5 games and you are interstead in talking about this further please let me know.